Product code: 1097 Categories: Sold Items, Sold Rings. 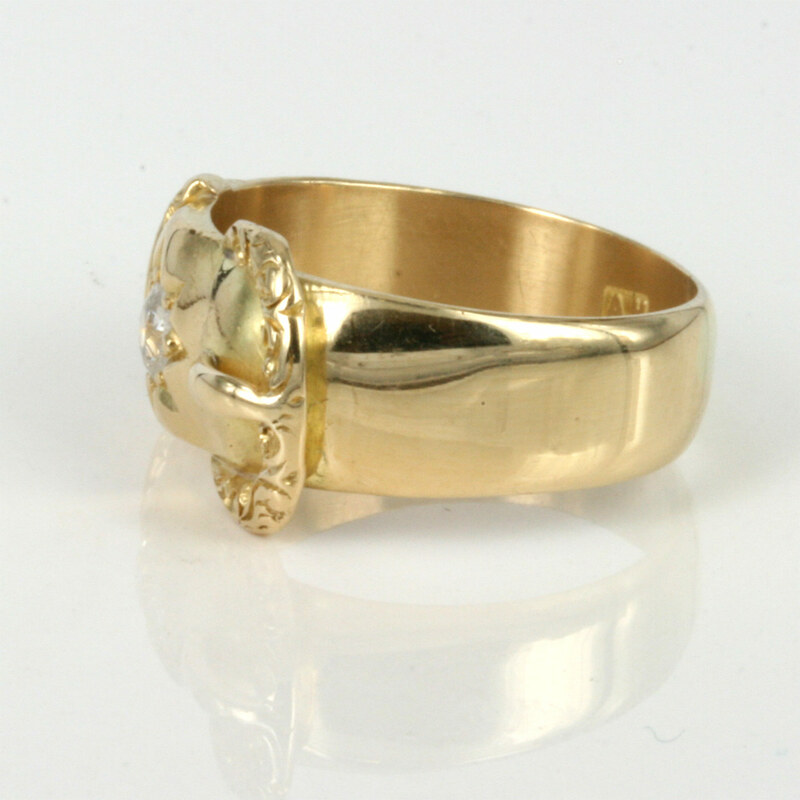 Here is a very solid 18ct yellow gold buckle ring that was made in London in 1912 and is set with a diamond. The diamond measures 0.30cts, and the ring itself measures 7.5mm to 11.6mm wide at its widest point on the buckle. This is a great very solid diamond set buckle ring, perfect to wear everyday.